Well all, I have written many an article on the pitfalls fo EHR systems, cost versus reward, interoperability among providers from different systems and networks, time spent doing data entry rather than patient interaction. When first required this industry spent $450 billion to meet meaningful use requirements phase one, and created a $10 billion per year support need. And that was phase one which completely left out the actual medical care, then phase two came and they said oops we forgot some things, billions more wasted to update, and then phase three and now the just kidding phase. It was technology introduced backwards, it went to market and used the end users as the beta tests. And as the financing mechanism for those beta test. Any other technology the developers would have funded the development and brought it to market after being perfected, (relative term for technology). In the end the industry ate the cost and passed it on to patients in the form of higher costs, with not an ounce of evidence it was going to decrease cost or improve care. And in the end the whole push was so we could move into population health management; please don’t get me started on that rant. 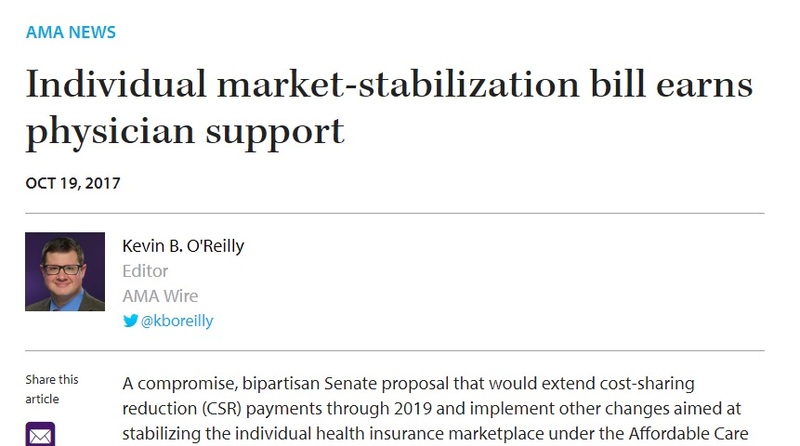 CMS wants your comments on market-based Healthcare innovation. Deadline Nov. 20. CMS has caused quite a stir this week by announcing they are shaking up their CMMI “Innovations” office. They are looking for input on “Consumer-Directed Care & Market-Based Innovation Models” that might be beneficial to Medicare and Medicaid patients.